This Alpine lake with the only island in Slovenia has been a paradise for centuries, impressing visitors with its natural beauty, wealth of legend, and special powers to restore well-being. Visit the island on a traditional “pletna” boat. After landing, need to climb 99 stone steps to reach the Assumption of Mary Church. On this island listen to the church bell and ring it yourself. Legend has it that this will make your wishes come true. The most beautiful view of the lake, its island, and the surrounding peaks is from the castle towering over the lake on a cliff. Due to its beauty, it is considered to be one of the loveliest wedding venues in Europe, and it has also been the location of important diplomatic and state protocol meetings. In addition to the picturesque architecture, this 12th century castle is also home to a museum collection; a castle printing works, where you can learn about traditional manual printing; the castle cellar, where you can bottle wine and seal the bottle with wax; a castle smithy, and a restaurant. 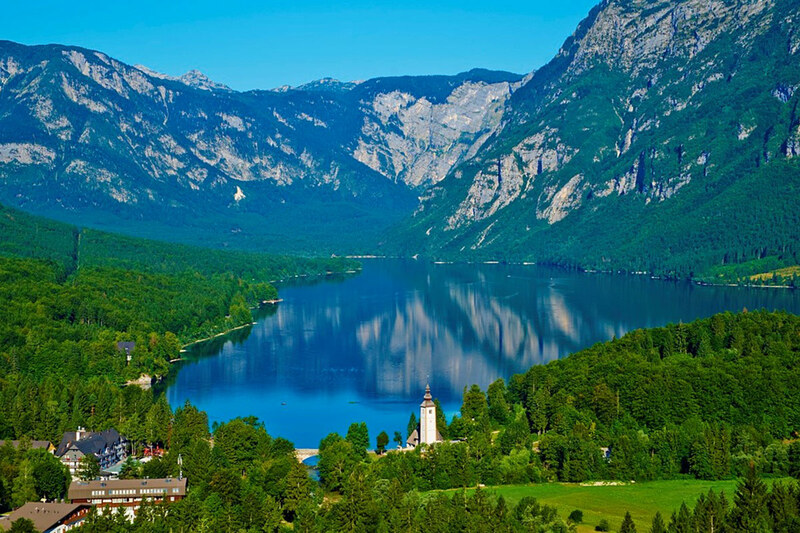 Lake Bohinj is Slovenia’s largest lake and a picture of peace and serenity. It’s brooding and mystical feel are encouraged by the steep mountain faces that rise out of the lake on the northern side with mountain peaks. Lake Bohinj is an ideal destination for everyone who wishes to explore the area on foot, by bike, or on water. 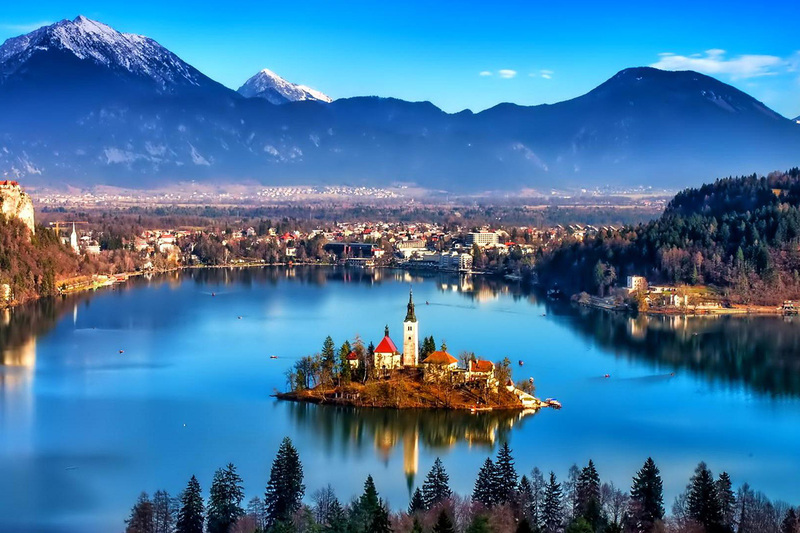 The largest natural lake in Slovenia is surrounded by the Alps and by numerous walking trails, mountaineering, and themed trails. 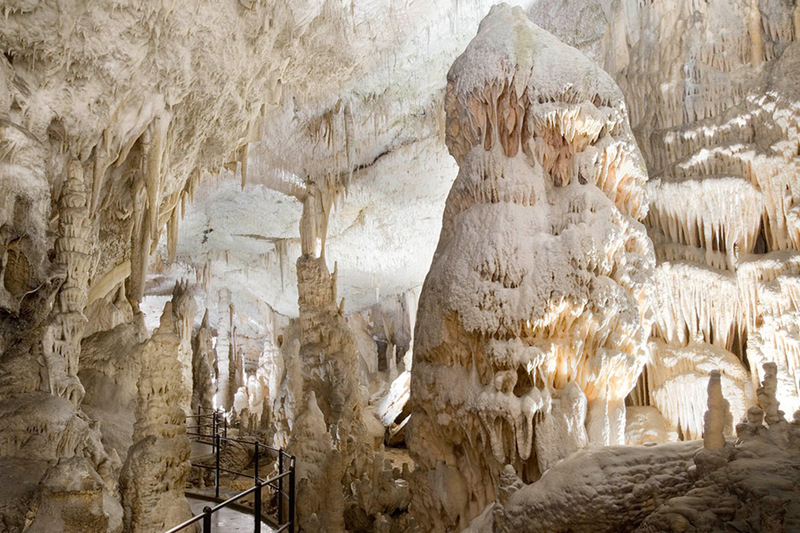 Postojna Cave is the largest Karst cave in Slovenia with as much as 24 km of underground tunnels. It has a very long standing 'tourist tradition'. For 140 years it has been taking visitors to see stalactites and stalagmites and other features created by water and even today it is one of the most visited natural landmarks in Slovenia. A tourist train takes you to the underground network of Karst tunnels, galleries, and halls. 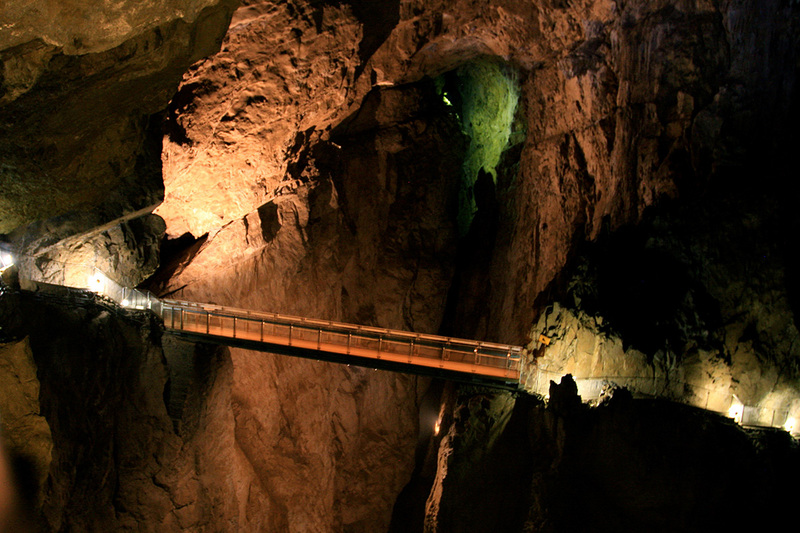 Postojna Cave is the only Karst cave with a cave railway. The cave is connected to Predjama Castle, the largest cave castle in the world. Skocjan Caves is a remarkable cave system carved out by the Reka River in southwestern Slovenia. The caves are incredible for the beauty of the limestone stalagmites and stalactites and other interesting rock formation and also for the breathtaking skale. They are enormous and the real attraction here is the largest underground cavern in all of Europe. 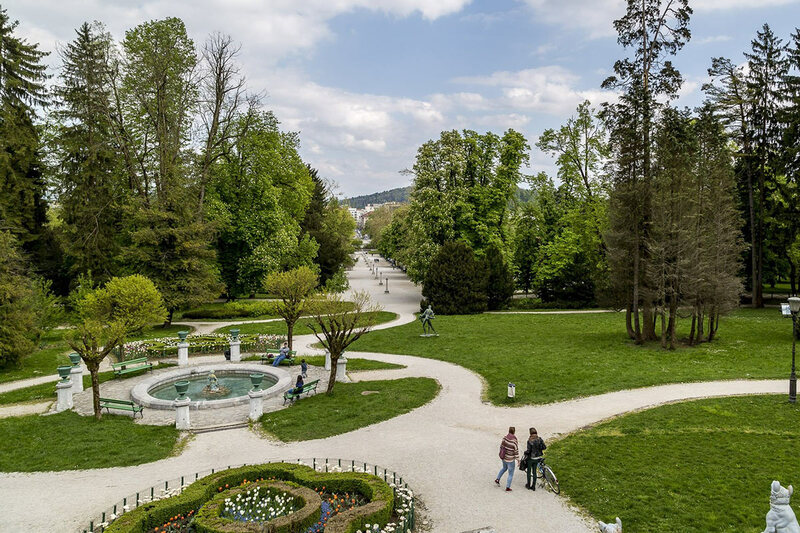 In the middle of the city, Tivoli Park is the green heart of Ljubljana. It was designed in 1813 by the French engineer Jean Blanchard and created by joining together the parks which had surrounded Podturn and Cekin Mansions. The park, covering an area of approximately five square kilometres, is crossed by three grand horse chestnut tree-lined walks and landscaped with ornamental flower beds, interesting trees and numerous statues and fountains. The park area blends into the slopes of the Rožnik hill, to which it is connected by several walking paths and a trim trail with several exercise stations along its length. If you want an active break, this is just the place for jogging, tennis, swimming, or a walk. 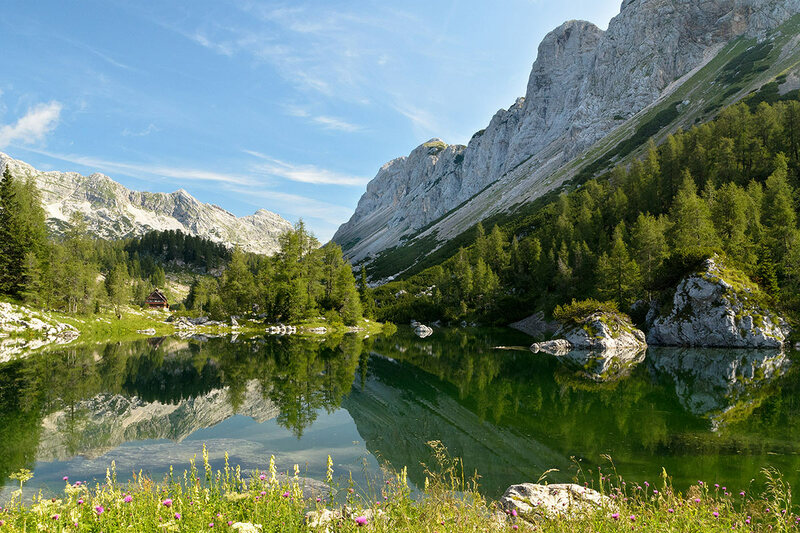 The Triglav National Park covers an area of 838 square kilometers along the borders with Italy and Austria, and comprises four percent of the total area of Slovenia. It was named after the highest mountain in Slovenia, Mt. Triglav, which rises to an elevation of 2864 meters. The origin of the name Triglav is rather uncertain. Triglav (three-headed) owes its name to its characteristic shape as seen from the south-east side or to the highest Slavic deity who was supposed to have its throne on the top of the mountain. This dynamic mountain karst terrain features picturesque mountain peaks and valleys as well as numerous natural and cultural attractions and is ideal for activities in nature.